A Standard Delivery charge of £5.00 + VAT is added to all orders weighing under 10kg being delivered to mainland England, Wales and Scotland. A Standard Delivery charge of £15.00 + VAT is added to all orders weighing under 10kg being delivered to Northern Ireland. We offer FREE standard UK delivery on all orders above £50 ex VAT. You will be offered a £5 Discount when you place the order. If you are looking to deliver your order outside of the UK Mainland, you will simply receive a £5 discount on your delivery. If you require a timed delivery, we do offer a pre 10.00 and pre 12.00 service option. These are charged at £25 and £20 pounds respectively. You will be given these options when you place the order. 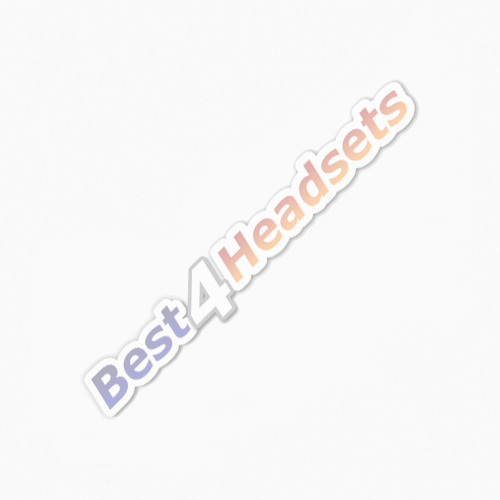 At Best4Headsets, we aim for next day delivery. Any product ordered before 4.00 pm on any business day (Monday - Friday excluding Bank Holidays) should be delivered the next business day before 5.30 pm (assuming the item is in stock). Deliveries to Non UK addresses are classed as international delivery, and as such cannot be delivered next day. Deliveries to Northern Ireland, areas of Scotland outside of Edinburgh and Glasgow, as well as some isolated parts of England and Wales cannot be delivered next day. These will be delivered on a standard 2 day service. Though every effort is made by Best4Headsets & the couriers to achieve next day delivery, the standard delivery charge does not guarantee this goal. Best4Headsets relies upon the services of a third party courier. There are unfortunately a few occasions when the couriers fail to perform the service that they are required to. Though this happens rarely, it does occur, and we cannot be held responsible for the late delivery of an item. If you do not have a Tracking number on your email, please don't hesitate to give us a call on 0844 824 6663 the day after you expected to receive your parcel if you still have not received it. We will enquire as to the whereabouts of your parcel and advise you of our findings. Unfortunately, we are unable to check on the status of these parcels on the actual day of delivery, but have to wait until the next day. Occasionally parcels are delayed due to poor addressing/sign posting. We may need to give Interlink Express your telephone number in case they need to contact you regarding the delivery. This information will not be kept by DPD or used by any other third party. If the goods are damaged upon receipt please complete the return request form for a returns number within 14 days of delivery. You may also contact us on 0844 824 3071 Mon-Fri 10.00am - 4.00pm if you need to discuss your return. You must contact us to be assigned a returns number. Parcels will not be accepted without a valid returns number. Please take a look at our returns policy for more information.